families of Navy, Air Force, Army and Police personnel. For an Anglican priest, it is the attempt to create a Sinhalese and Buddhist majority population. Criticism of human rights activists: risk of ethnic crisis. 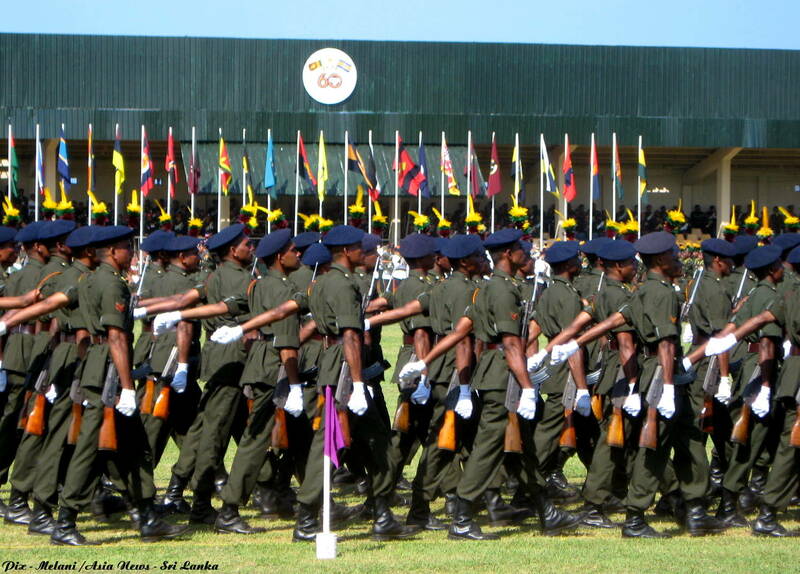 Colombo (AsiaNews) - The government of Sri Lanka has decided to allocate 100 thousand rupees (600 euros) to the families of Navy, Air Force, Army and Police personnel who decide to have a third child. According to Fr. Marimuttu Sathivel, an Anglican priest and activist for human rights, the move is discriminatory towards the rest of the population. For this, the religious together with Buddhist activist Priyadharshani Ariyarathna has drawn up a Declaration of public interest against the government of Sri Lanka, calling on them to extend this incentive to all households in the country. The government of President Mahinda Rajapaksa has allocated this financial help with the 2010 budget (for members of the three armed forces of the country) and that of 2011 (extended to police officers). The ambiguity of the proposal is accentuated by other negative policies. In recent decades the government has conducted numerous family planning campaigns, to push the Sri Lankan families to have a maximum of two children. In addition, over the past few months there is an attempt to legalize abortion. From the outset the Church has objected to this proposal, instead of promoting the value of the family with various initiatives. According to the two activists, the decision is a "mistake" that could lead to an "ethnic crisis", because the military is 98% Sinhalese and Buddhist. "It is an attempt - said Fr. Sathivel - to create a population of a single ethnicity and religion." In Sri Lanka there are four major ethnic groups: Sinhalese (74%), Tamil (native: 12.6%, Indian 5.1%), Muslim (7.4%) and burgers (0.2%). The main religion is Buddhism (70%, mostly Sinhalese), followed by Hinduism (15%, Tamil), Islam (7.5%) and Christianity (7.5%, Burgher, but also some Tamil and Sinhalese communities). Among Christians, 88% are Catholic.